I watched The Color of Money last night. Two things struck me about the film: 1) Holy crap is Tom Cruise young and 2) I really wish Paul Newman wasn't dead. I'm embarrassed to say I didn't know Martin Scorsese directed it. He's one of my all-time favorite directors and I keep thinking I've seen every movie he's done, and then some movie pops up with his name on it. The reason I watched The Color of Money was I had just seen The Hustler. The scene with "Fast" Eddie playing Fats is simply amazing. It's goes on and on and you're feeling the exhaustion Eddie must feel. 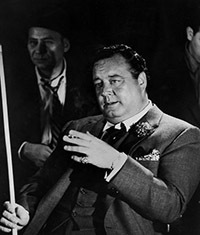 Then Jackie Gleason gets up, goes into the restroom, freshens up, puts his coat back on and comes out for more. A new man. My heart sank with Eddie's. It's hard to imagine a scene that long in a modern film. Movie audiences need things to go go go. It feels like we've lost the ability to sit back and enjoy something that slowly unfolds. Really slowly unfolds. Sometimes that's important. A few quick cuts and we could have been told "Fast" Eddie was tried, but we needed to feel it with him. People said Tinker Tailor Soldier Spy was a slow movie in the mold of 70's thrillers. True, it was slow by today's standards, but still felt like it moved along. Try going back and watching The French Connection. That's a slow movie, but it doesn't suffer one bit as a result. Adventure games are slow affairs. I worry few modern gamers have the patience for them anymore. Today, if someone spends more than 5 minutes trying to figure a puzzle out, they wonder where the pop-up hint is? They become anxious. Go go go. Good puzzles are meant to be chewed on for a while. Thought about. Mulled over. Put aside. Then spontaneously come rushing back as our subconscious figures it out. A good adventure puzzle never leaves you wondering what to do, only how to do it.